Join us Sunday, March 17, 2019! 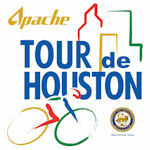 Tour de Houston Presented by Apache is a fundraising bike ride that benefits Houston's Reforestation Program. The ride will take place Sunday, March 17, 2019. 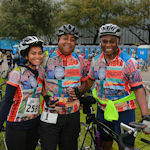 This annual event offers Houstonians and visitors a unique way to view the city with bike routes winding through Houston’s historic neighborhoods, scenic districts and parks. 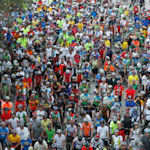 With three ride length options, the Tour de Houston is the perfect event for leisure riders or cycling enthusiasts. In addition, it is a BP MS 150 recommended training ride. This event begins and ends in Hermann Square at City Hall located at 901 Bagby. Riders and volunteers will enjoy a post-ride party that includes music, free food and beverages. Each year a new route is featured to meet the Mayor’s objective to showcase Houston neighborhoods. The 20, 40 and 60-mile ride is a BP MS 150 approved training ride. Sponsor receives total exclusivity regarding promotion of brand on-site at the start / finish line, rest stop areas, & hospitality area specific to business category. The Mayor’s Office of Special Events produces events to create civic celebration and enhance the community. Proceeds benefit the Houston Parks and Recreation Department through Houston Civic Events, Inc., a Texas 501(c)(3) non-profit. Sponsorship is tax-deductible. All photo galleries available at www.houstontx.gov/tourdehouston/gallery.html.